A. c. late 1960's. This lock is fairly rare as it is a foreign made time lock. 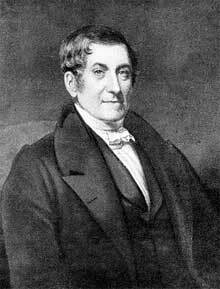 While there were many foreign safe and vault makers, the time lock business was dominated by the United States. 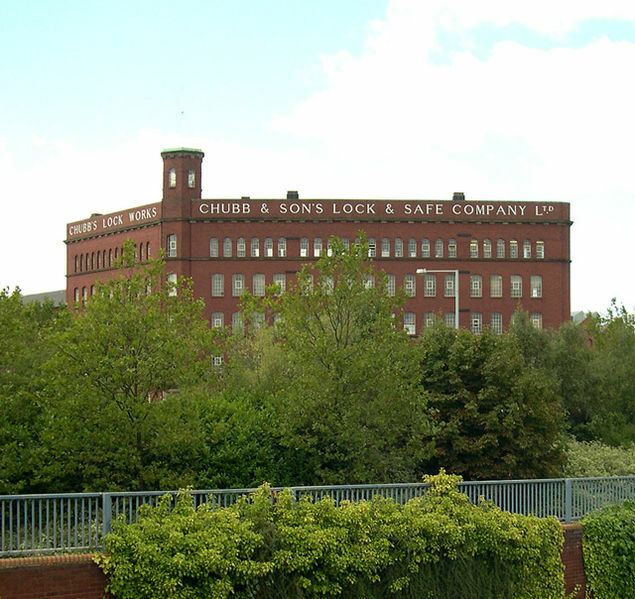 Chubb was started by Jeremiah and Charles Chubb brothers in 1818 building safes and locks for the financial industry. 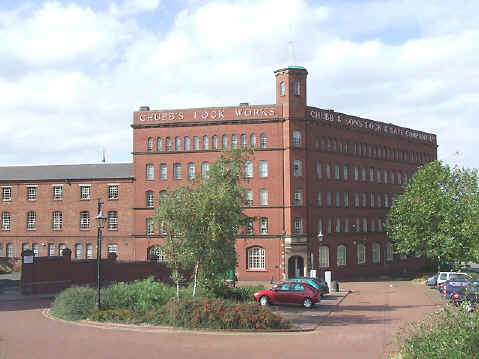 They began building safes in 1835 in their Wolverhampton factory which is still in existence today (see photos above). Unlike most of the locks made during the later 20th century, this lock retains many of the quality features found in more vintage locks dating from the early part of the century. The front of the movements look much like Sargent and Greenleaf's with their characteristic wagon wheel dial design. To my knowledge this is the only company to employ a platform escapement mounted horizontally above the movement since its discontinuation by the Consolidated Time Lock Company around 1900. There were some unconfirmed accounts that these movements were originally developed for use on some kinds of munitions during WWII. This could account for their superior quality in relation the contemporary movements of the day. C. Model #9. c. 1970's. In 1957-58 Mosler purchased Canadian based Dominion Safe & Vault and Pollard Mfg. and formed Mosler – Taylor Safes Ltd. Mosler then constructed a plant in Brampton, Ontario. 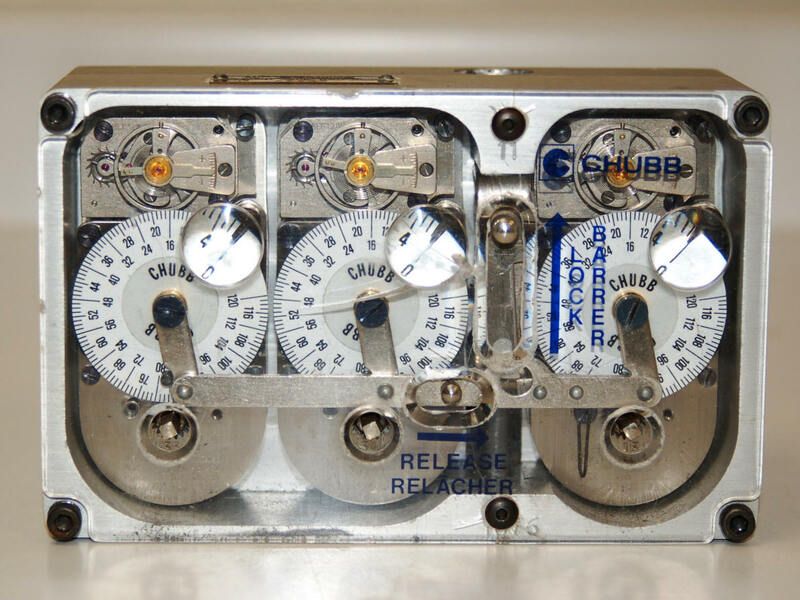 In 1960 Chubb purchased controlling interest in the Canadian based Mosler – Taylor Safes Ltd. (Chubb – Mosler and Taylor on the dial between 1960 and 1980) and Mosler was out of the picture except for the name. After 1980, only Chubb was on the dial. 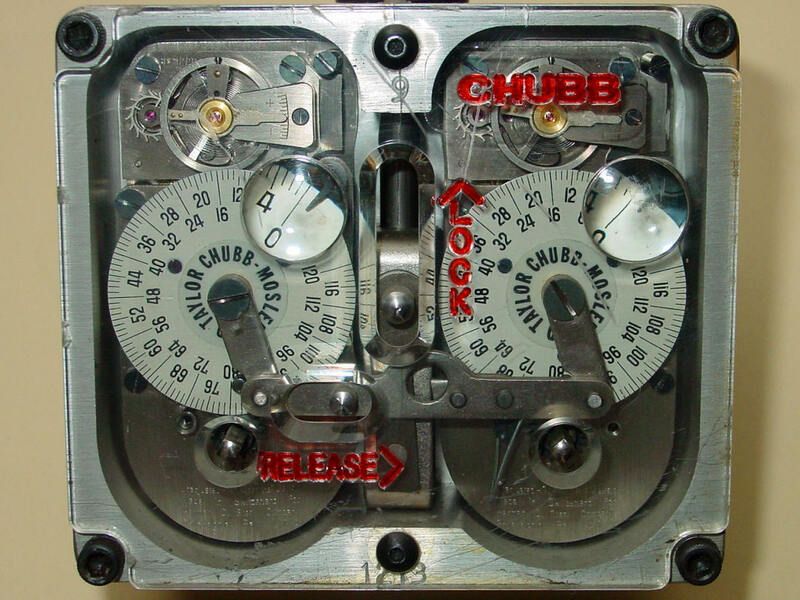 The Chubb company did not begin to market time locks under their own name until the 1960's. Almost all safe makers - Yale, Diebold, Mosler, Consolidated Banker's Dustproof as well as Chubb did not actually manufacture their own time lock mechanisms. This was subcontracted to a company, experienced in making time movements. In the 19th and early quarter of the 20th century this was most often the E. Howard Company of Boston, Massachusetts. 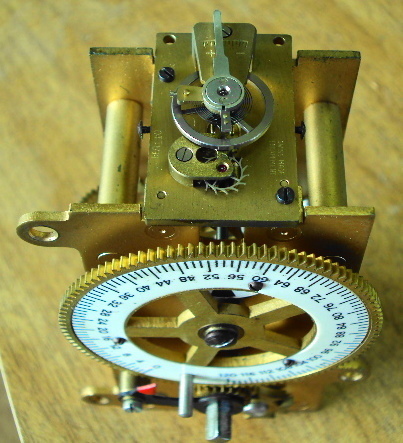 Illinois Watch and Waltham pocket watch movements were also sometimes used. Only Sargent and Greenleaf made their own time locks. A few other time lock makers such as Time Masters, Inc., and Sargent and Greenleaf tried to replace the mechanical movements with digital timers. The point of these firms efforts was to eliminate the mechanical watch movements that were integral to all time locks since their introduction in the 1870's. Those movements required regular inspection and maintenance from a skilled person to ensure proper operation to the satisfy the bank's insurance company. But in the end, the electronic devices also require regular maintenance, if for no other reason than the replacement of batteries, let alone the problems associated with electronic component failures much to the chagrin of those same insurance companies. 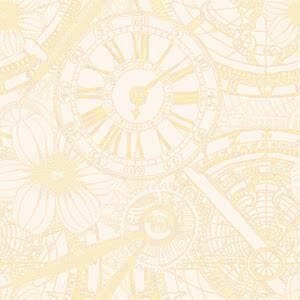 The tried and true designs of the mechanical movement proven over the past 140 years were simply more cost effective than the new approaches and to this day those mechanical time locks controlled by wind up mechanical movements are still in use today.